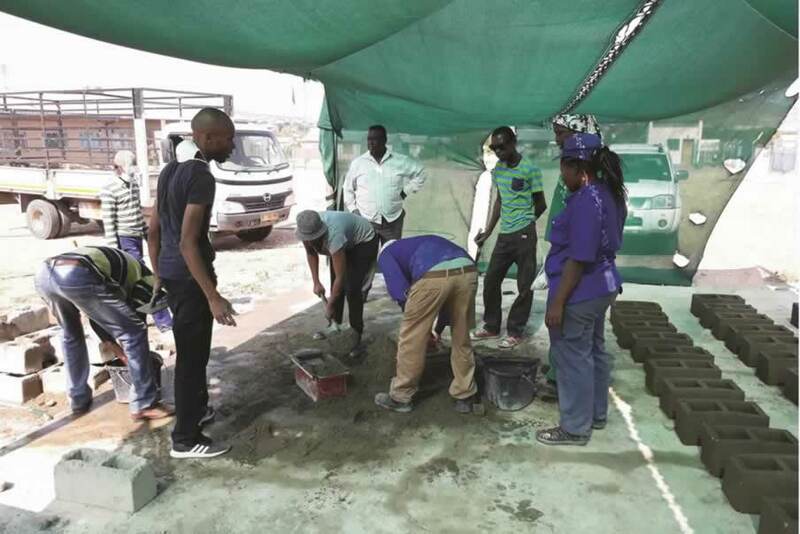 During 2017, the Rössing Foundation also facilitated a two-day workshop to help Khorixas Youth Construction (KYC) to develop production and marketing plans for a project proposal to the Social Security Commission Development Fund (SSC-DF). 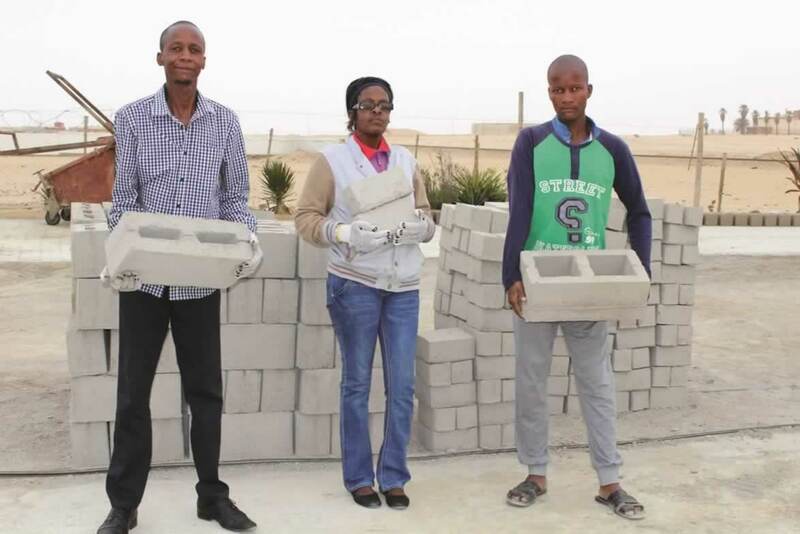 Four members successfully completed a three-day practical course on brick making, machine handling and maintenance. 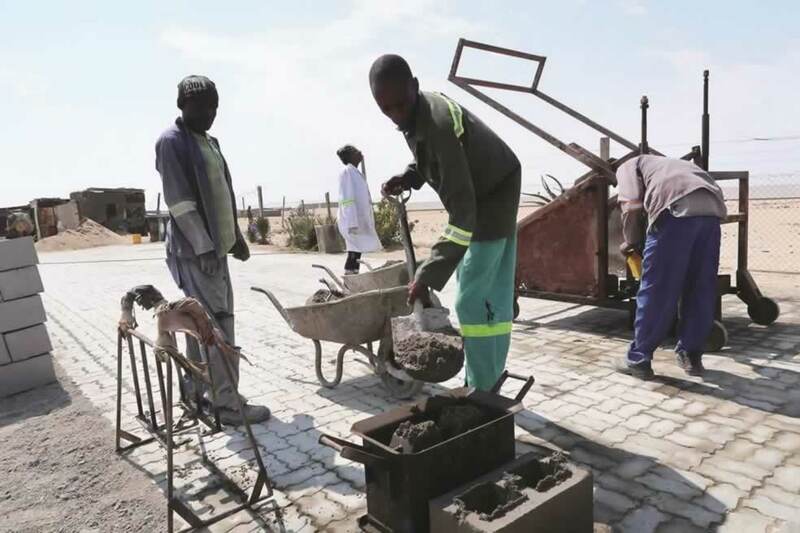 (left) The project supporting the Khorixas Youth Construction was funded by the Social Security Commission Social Development Fund and supported technically by the Rössing Foundation. 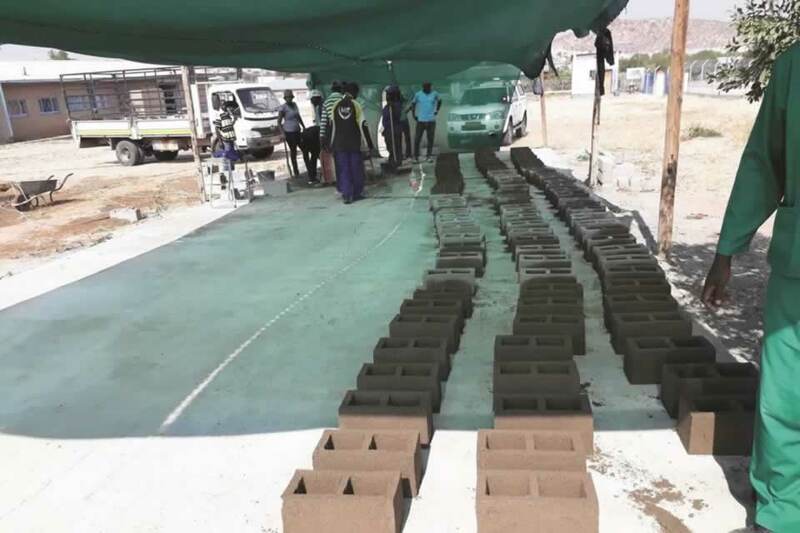 The Rössing Foundation has supported the Ohungu Conservancy in the Dâures Constituency in northern Erongo since its inception in 2016. 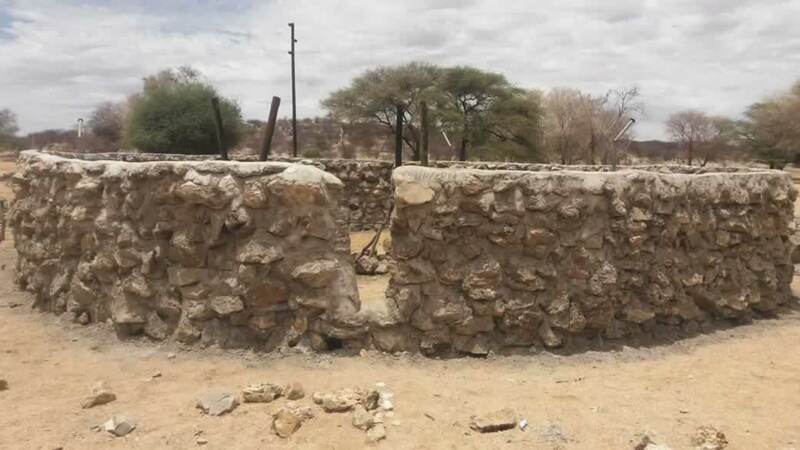 Following the approval of project funding by the Game Products Trust Fund, the community recruited workers to collect stones and sand to build three protection walls around the community’s water points. 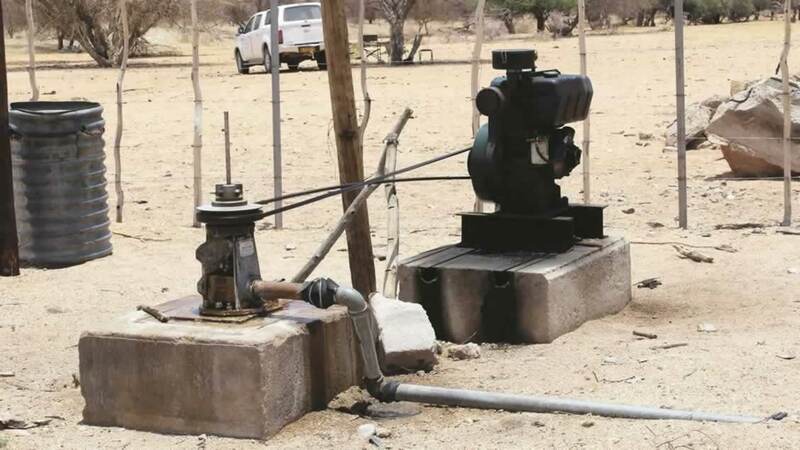 The protection walls have secured the community’s water supply, which, in the past, was compromised on a regular basis due to infrastructural damage caused by elephants roaming the area. 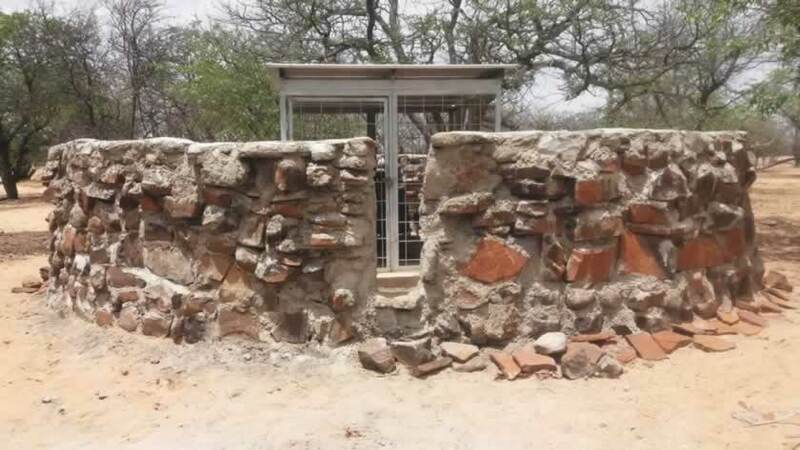 The community recruited workers to build three protective walls around its water points. The walls now secure the community’s water supply. Below: the water point before construction of the walls; below, two of the three protective walls around the water points. 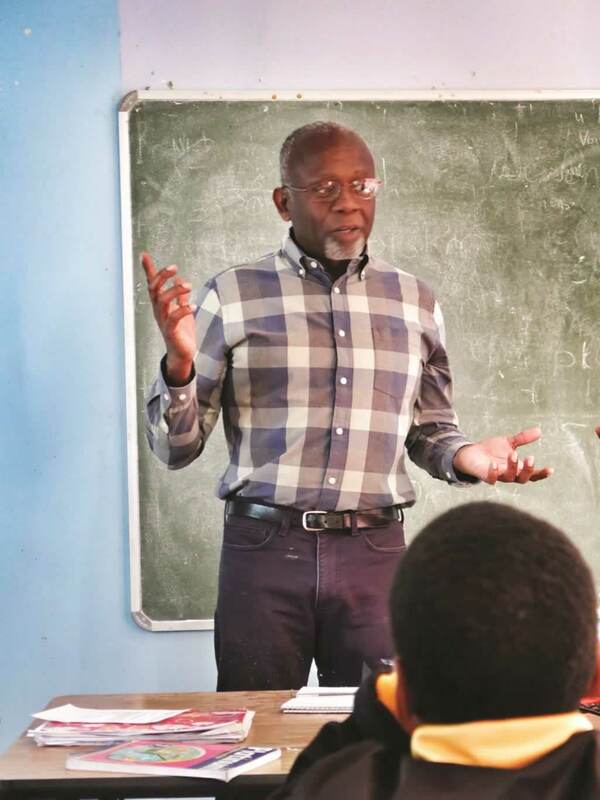 Vern Seward, a Peace Corps volunteer at the Rössing Foundation, was invited to provide a series of lectures on various subjects at the Tabitha Kumi Christian Academy. He focused on the use of words to a class of 12-year-old youths, giving two lectures in 2017. The first lecture was on the subject of deep-sea creatures, the second on the subject of volcanoes. The aim of the lectures was to helpthe youth prepare for their academic future. The purpose of the lectures is to help the youth to think outside the box of their usual experience with the English language, and to broaden their understanding of English word usage.